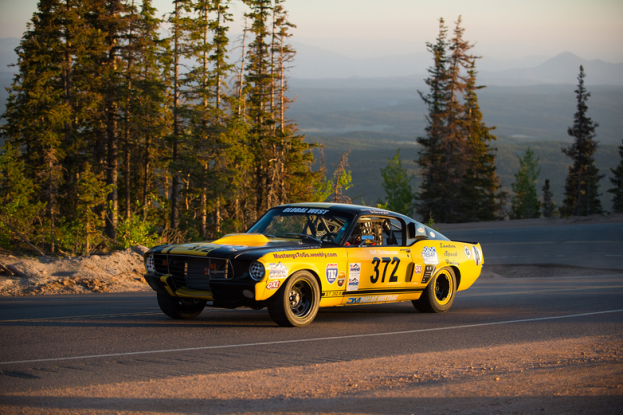 As the second oldest auto race in the US, there is no shortage of buzz surrounding the 2013 Pikes Peak International Hill Climb set for Sunday, June 30th. 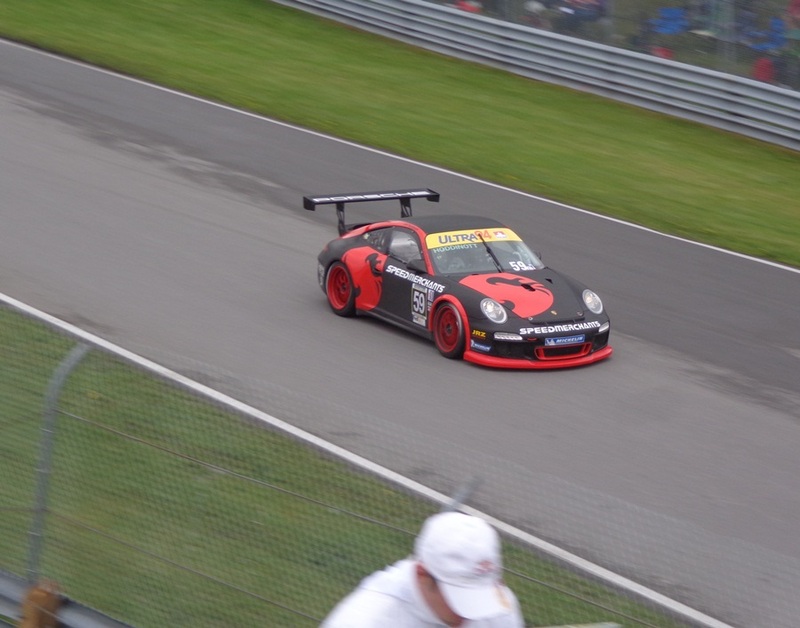 With an immense range of different classes of competitors it is one race that provides something for every auto enthusiast. This weekend’s race will be an exceptionally interesting one as it’s Peugeot’s first appearance at Pikes Peak in 24 years. The last time Peugeot ran up the mountain was back in 1988 in the 205 Turbo 16 rally car. 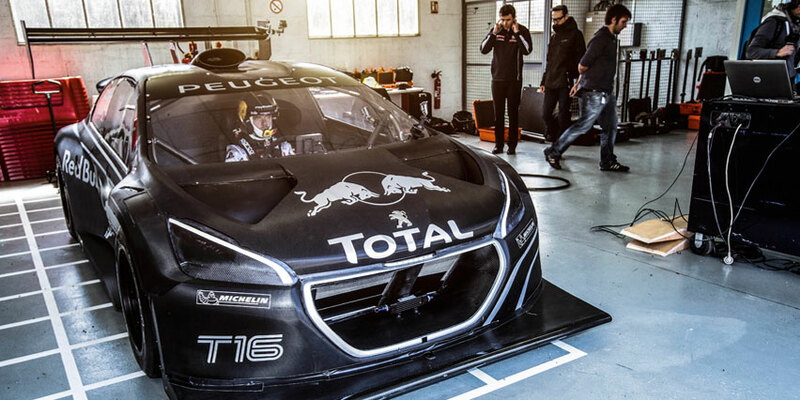 This year’s version is a heavily modified black on black version of the 208 hatchback piloted by the most winningest of all rally drivers, Sebastien Loeb. This video gives you a real flavour of what Peugeot has brought to Pikes Peak in the past as well as what they are bringing this year. Last year, we wrote a post about the spectacular crash from the 2012 race. Thankfully, the driver and co-driver were not seriously hurt. We wish all the racers a safe and successful race on Sunday! The BBC have just released the new trailer for Top Gear’s 20th series (season). 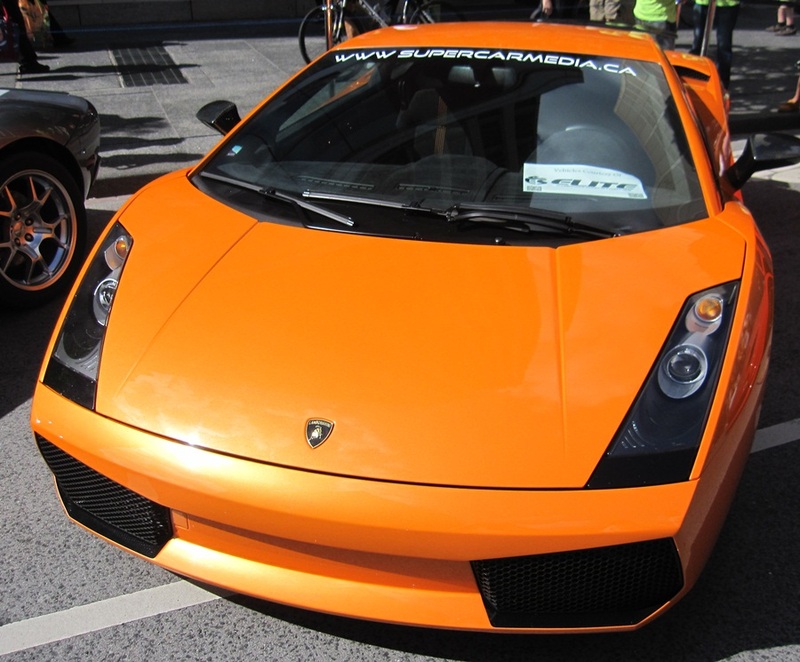 It’s hard to believe there have been twenty seasons of Top Gear – from burning down caravans, travelling to the North Pole and racing a Bugatti Veyron around Volkswagen’s test track in Germany. From the looks of it the 20th series promises to deliver just as many adventures, amazing cars and some fantastic cinematography as is the hallmark of the show. The Redline North team is looking forward to the new series starting June 30th. 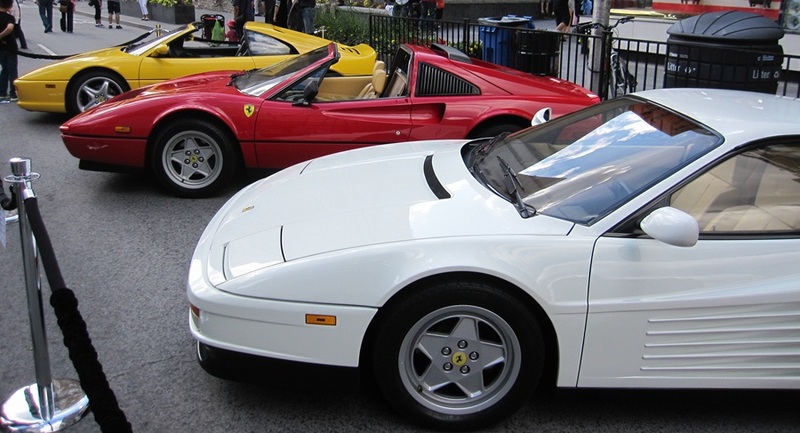 What better way to spend Father’s Day than a hit up a charity car show in the heart of Toronto’s tony Bloor/Yorkville area. 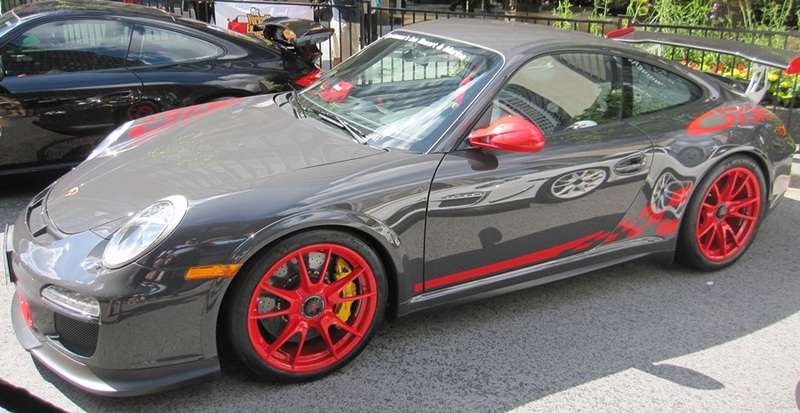 Sponsored by Porsche, McLaren Toronto and Prostate Cancer Canada, the one day, Yorkville Exotic Car show charity event raises funds for cancer research. In spite of some rain earlier in the day, the event was well attended with solid crowds coming out to see these exotic autos. 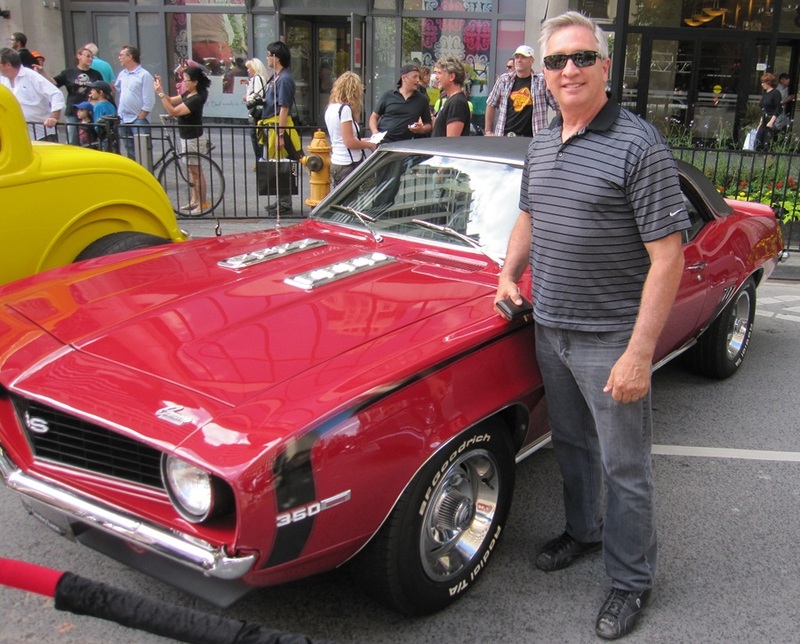 We too, had a great time checking out all the cars and even bumped into the Globe and Mail’s Drive Editor, Peter Cheney who is always up for a in-depth chat about autos. 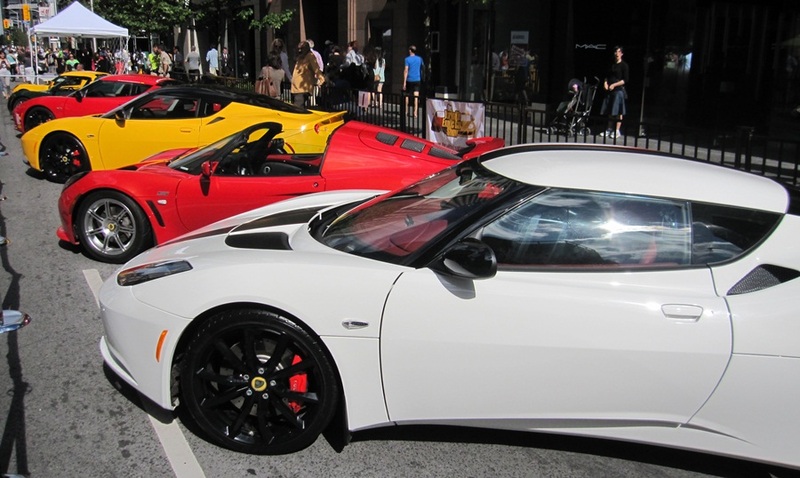 Peter had his amazing Lotus Evora parked on display along with other Lotus models. 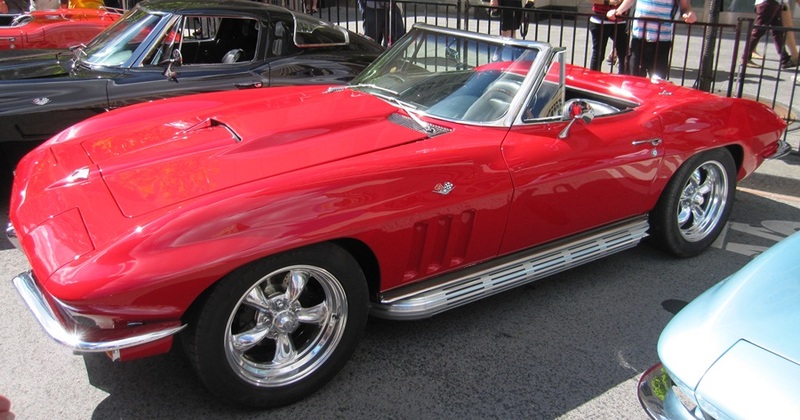 There was a plethora of cars from all eras including; classic hot rods to Corvettes, Ferrari’s Lamborghini’s, BMW’s, Maserati’s, Aston Martin’s, Bentley’s, Mercedes’ and of course Porsche’s. Be sure to check this out for more information about the Yorkville show. Take a look at this crazy video from Saudi Arabia. The first part of the video shows two guys changing, or swapping, car tires while driving down the road on two wheels, while the latter part shows another vehicle driving down the highway on its side while the passengers hang out on the side of the vehicle. This video and others like it have been described as ‘sidewalk skiing’. We’re not quite sure where the ‘sidewalk’ aspect comes in, but it’s an interesting video to say the least and something that isn’t likely to happen down the Trans Canada Highway anytime soon! 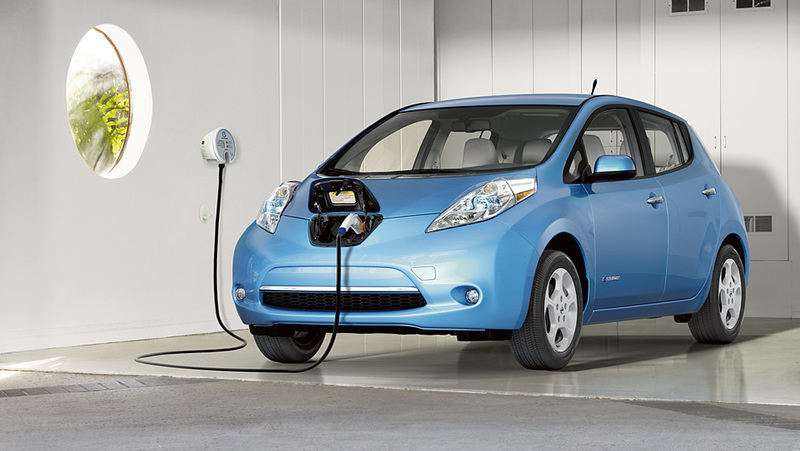 This week the Globe and Mail reported that both Nissan, GM and Mitsubishi have all recently dropped their prices, or are offering time limited incentives, on their plug-in electric vehicle models. The new S version of the Nissan Leaf debuting next month will retail at $31,698. Buyers in Ontario will receive $8,500 back from the provincial government lowering the price to $23,198. The SV version, was the lowest-priced model in 2012 at $38,395, will now cost $34,998 and will include a Level 2 (240V) charger. Likewise, General Motors is offering a $4,000 incentive in the US towards its plug-in hybrid electric Chevy Volt, which has both a gasoline engine and electric motor. Finally, Mitsubishi Canada is offering between $5,000 and $7,000 off two versions of its full battery electric i-MiEV bringing the base model down to $30,998, or $22,498 in Ontario and slightly higher in Quebec and B.C. For those interested in making the leap to electric vehicles, now is a good opportunity to make the investment as prices have never been this low. With the cost of refueling the vehicles in the sub $5 range for most consumers across the country, along with the reduced maintenance costs, some real savings can be had by choosing electric vehicles. This is not to mention the added benefits of the high torque, quiet ride and low center of gravity. Although there have been downward pressures in the cost of the lithium batteries that store the energy in these vehicles, the question remains how long these incentives can be offered as the batteries can make up to one third the cost of the vehicles. Time will tell. As good luck would have it a friend of RedlineNorth attended last weekend’s Montreal Grand Prix weekend and covered the action for us. Although rain did come and go early in the festivities it did not lessen the level of the Grand Prix party overall. Unfortunately, however, the event was marred with tragedy on Sunday with the accidental death of volunteer track marshal Mark Robinson. Our hopes and prayers go out to Mark’s family. 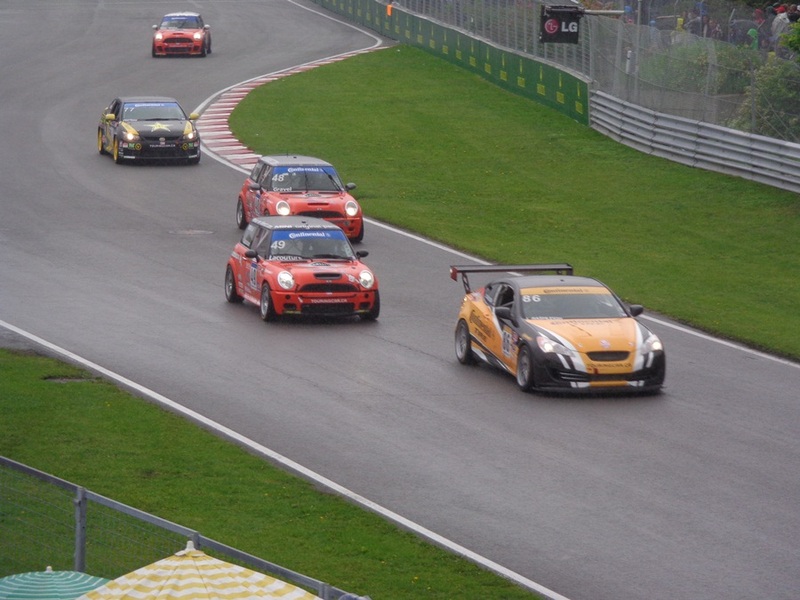 Here is a little taste of last weekend’s Montreal racing action. Until next year! Red Bull team member and race winner Sebastian Vettel (right) along with fellow racer Jean-Eric Vergne (left). 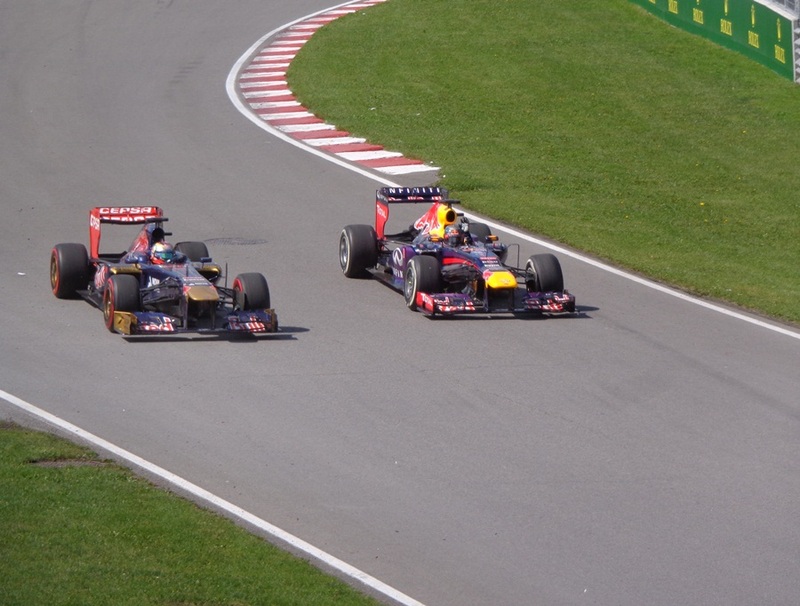 Make sure you add the Montreal Grand Prix to next year’s calendar as hotels sell out soon for the annual event. 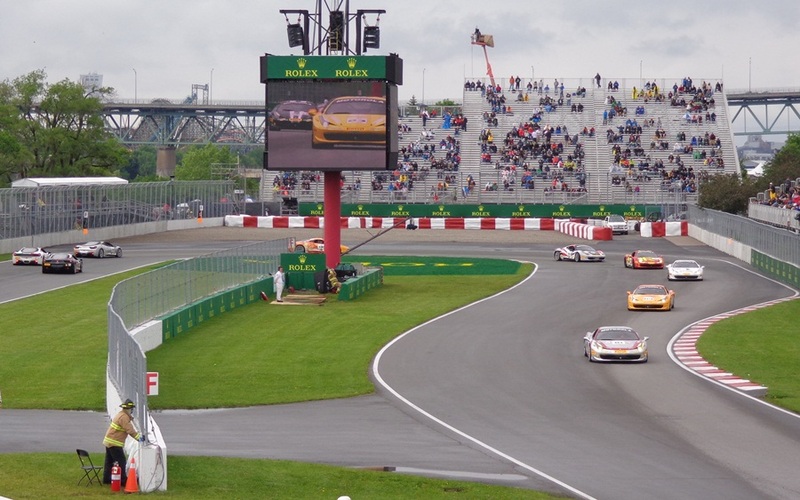 Montreal, Quebec is one of Canada’s most interesting cities and once a year it puts on its biggest show as it plays host to Canada’s only Formula 1 automobile race the Grand Prix of Montreal. 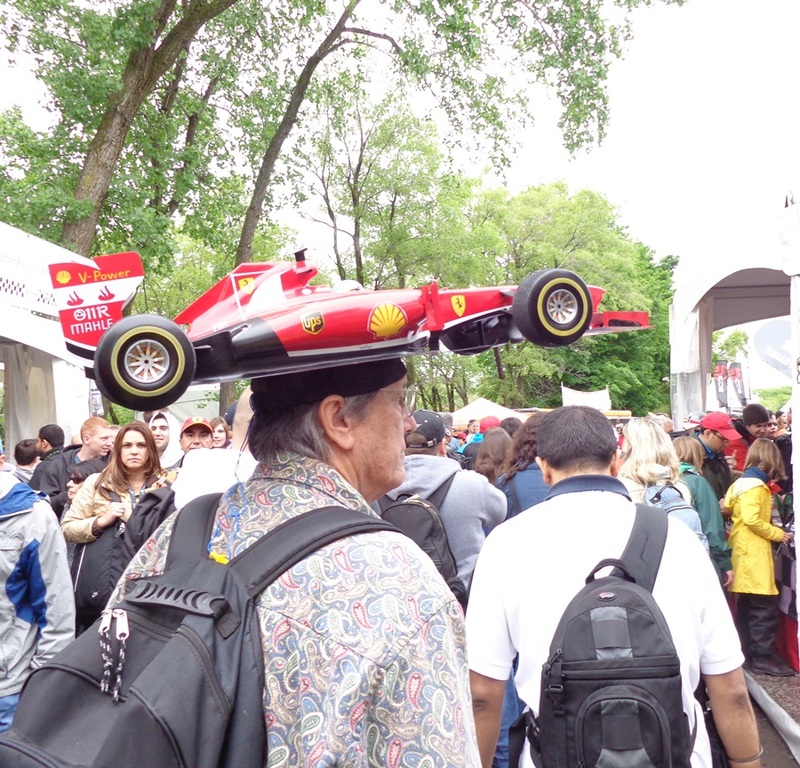 Scheduled for this Sunday, June 9, Montreal will see an influx of 150,000 tourists who flock to the city to take in everything F1. This supreme racing league with its multi-million dollar cars, infamous team owners and young superstar drivers is in a whole other league. 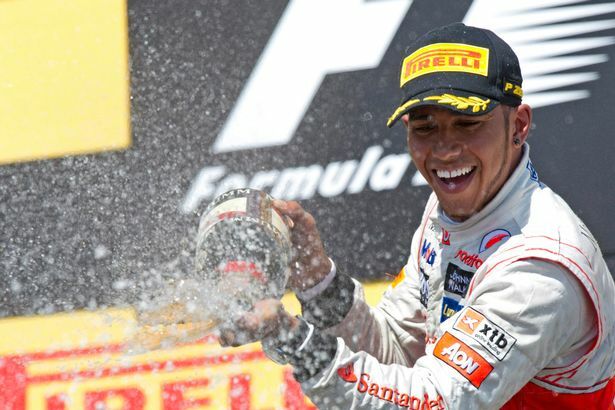 Second only to soccer in popularity, Formula One racing dwarfs every other sport with its truly global television audience. 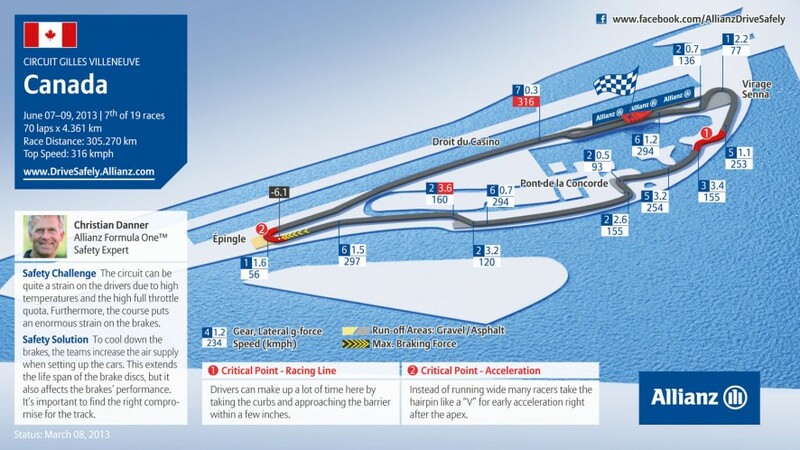 For the next three days, all eyes will be on the Île Notre-Dame as the drivers go for victory at the Circuit Gilles Villeneuve. Along with the racing, the city comes alive with the spirit and sound of people from all over coming to watch and have fun at the same time. Unfortunately, Team RedlineNorth did not plan this out well and will be missing this year’s festivities however, we will be back next year. 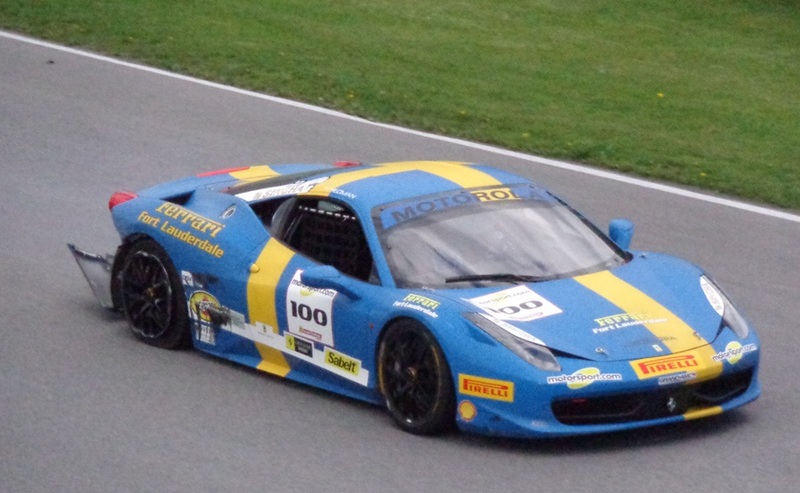 For the racing enthusiast this is a must attend event at least once in your lifetime. 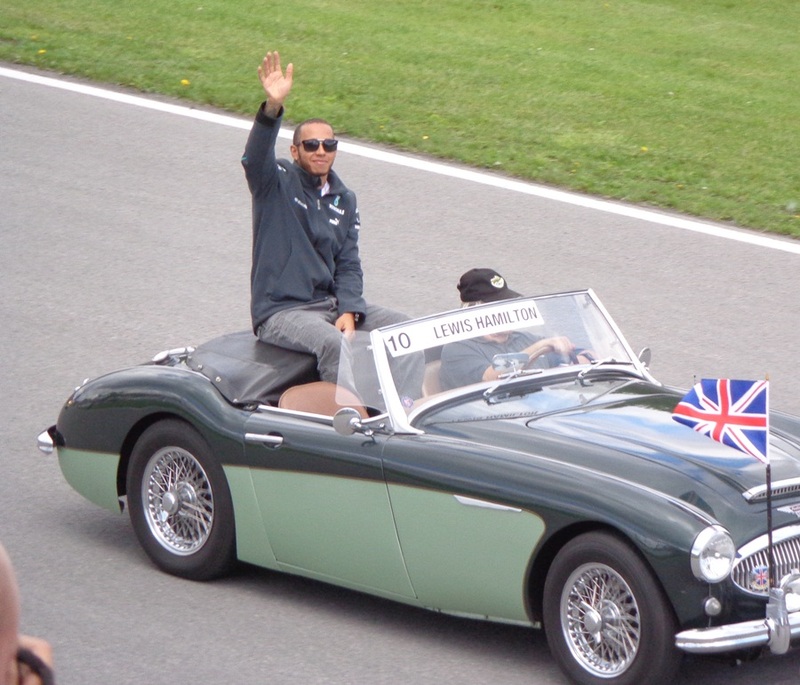 As for the racing, last year’s winner was the UK’s Lewis Hamilton seen here celebrating on the podium. If you are not lucky enough to be at the race in person be sure to watch on Sunday to see who crosses the finish line under the checkered flag. The race will be broadcasted on TSN here in Canada. Over the May Victoria Day long weekend one of the RedlineNorth team members had the opportunity to test drive Hyundai’s 2013 Santa Fe Sport, sport utility vehicle. The test period included a road trip from Toronto to Ottawa, Ontario that included a toddler, pregnant wife and grandmother along with all the ‘stuff’ required for a long weekend road trip with the family. Well, how did the Santa Fe Sport perform battling long stretches of highway, long weekend traffic, while fully loaded with toddler in tow? Read on to find out. In the 2001 model year, the Santa Fe debuted in North America as Hyundai’s first SUV. 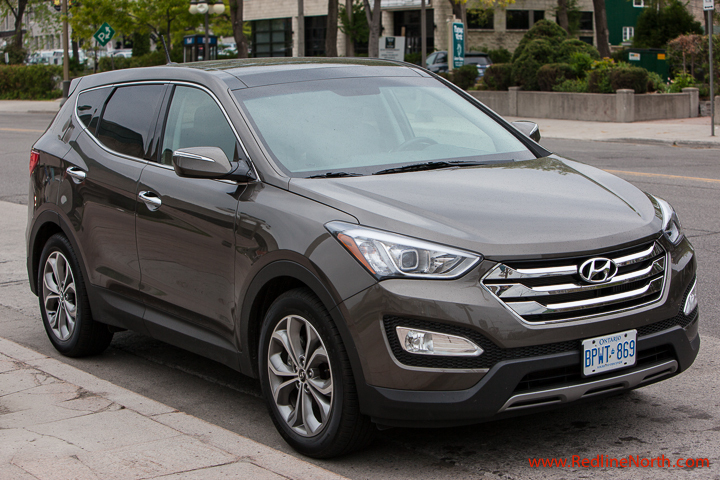 Now in its third generation, Hyundai recently launched the redesigned 2013 Santa Fe. There are two variants of the Santa Fe, the five seater Sport along with the larger seven seater XL. The Santa Fe Sport comes in two engine configurations, a 2.4L normally aspirated engine and a 2.0 L turbo version. Both engines are also available in both Front Wheel Drive or All Wheel Drive with prices starting at $28,388.70 including destination and delivery charges for the 2.4 FWD. 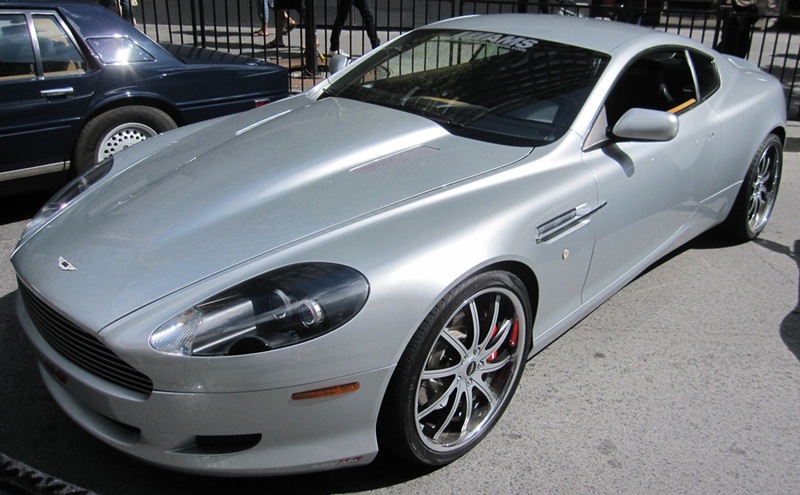 The RedlineNorth test vehicle was the 2.0L Turbo AWD SE model which comes in at $37,188.70. 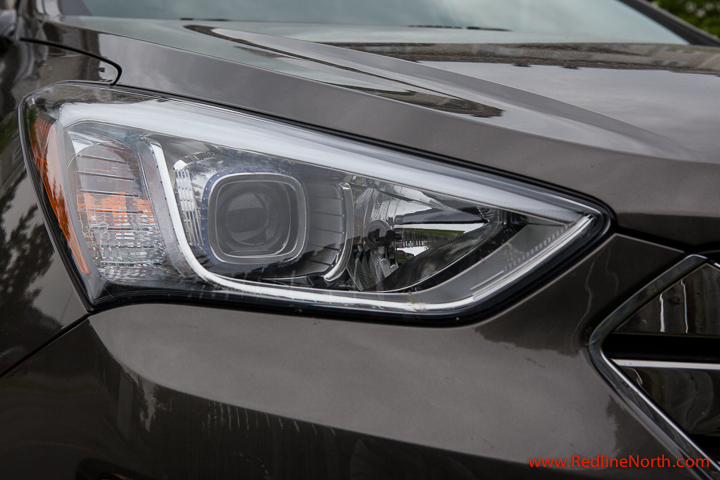 The 2013 model has been redesigned in a style Hyundai calls Storm Edge. 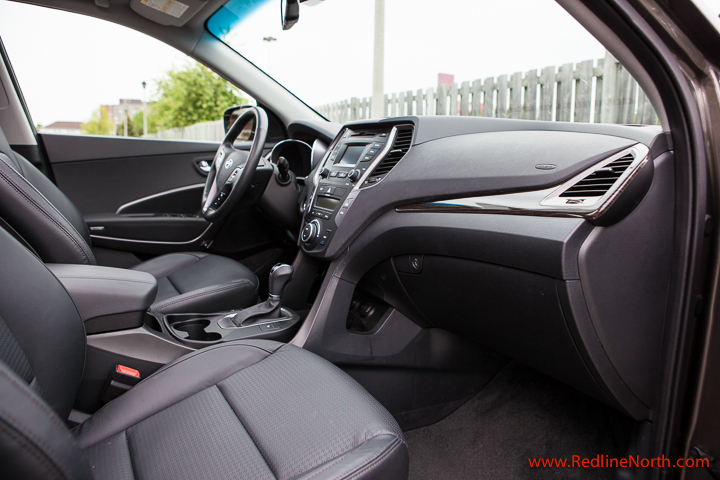 The interior of the Santa Fe felt roomy with high attention to detail. This included built-in sun shades for the rear windows which came in handy on the long car journey with sleeping kids. 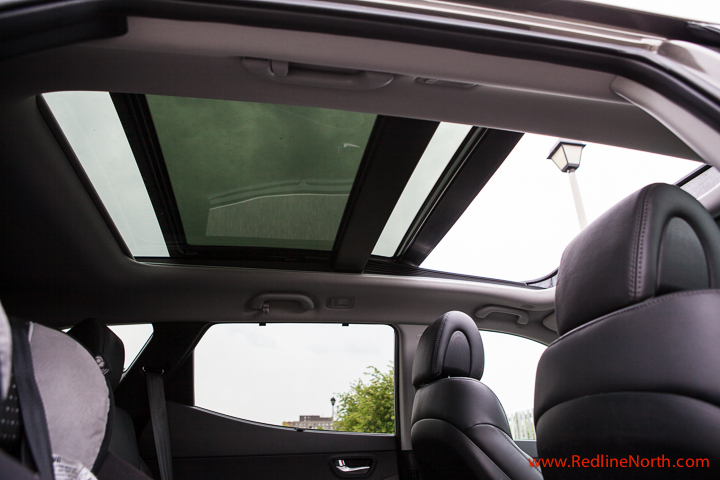 In addition, the sunroof is immense and fully opened it provides a pseudo convertible feel. This feature made up for the narrow rear windows provided with the redesigned styling, which didn’t allow in that much light. The ability of the rear seats to recline is a great feature and rear and front leg room was above average. In addition, the adjustable powered drivers seat with lumbar support fared well on the long trip and provided the right amount of firmness and comfort despite not having the cooling ability found in the Limited edition of the Sport. 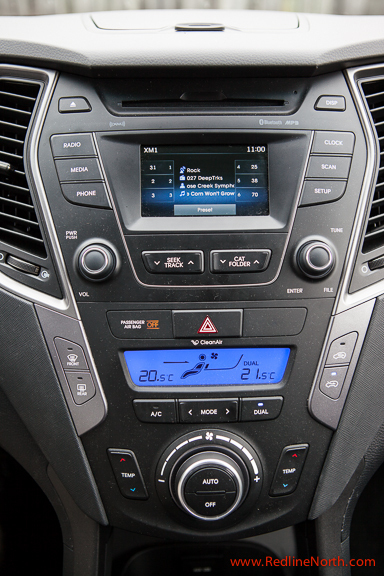 The menu of the infotainment system in the Santa Fe, while not perfect, was above average in terms of ease of use. Pairing a phone through Bluetooth was straight forward and didn’t require breaking out the instruction manual. Similarly, changing input selections from radio, CD and Satellite radio and assigning them to the memory was done with ease. The down side to the system was the 4.3 inch screen size that comes standard in the SE and Luxury editions. While the lack of a navigation system in the SE certainly reduces the need for a larger screen one may find themselves squinting at screen when trying to discern images from the rear view camera system. The SE version of the Sport comes standard with a LCD screen which is limited in size. A handy feature in the 2013 Santa Fe is the adjustable steering control to adapt to personal driving styles and road conditions. Drivers can select from normal, sport or comfort mode. Sport mode noticeably tightened up the steering providing the driver with more responsiveness which is useful in city traffic. While out on the highway heading along Highway 401, comfort mode provided a more relaxed feel with more play in the steering wheel. Normal provided middle of the road feeling between the two and as a result wasn’t used a whole lot. In terms of engine performance there was a slight lag with the Turbo in the 2.0L liter engine, however, overall the Sport felt very responsive. Entering the highway with a vehicle fully loaded for a long weekend the Santa Fe Sport got up to speed quickly and passed vehicles with ease. 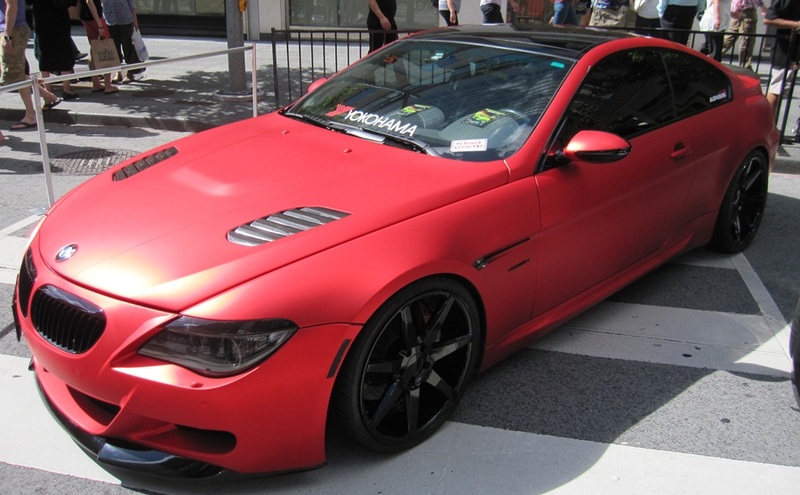 This is thanks to the 264 hp and 269 lbs of torque produced by the four cylinder engine. 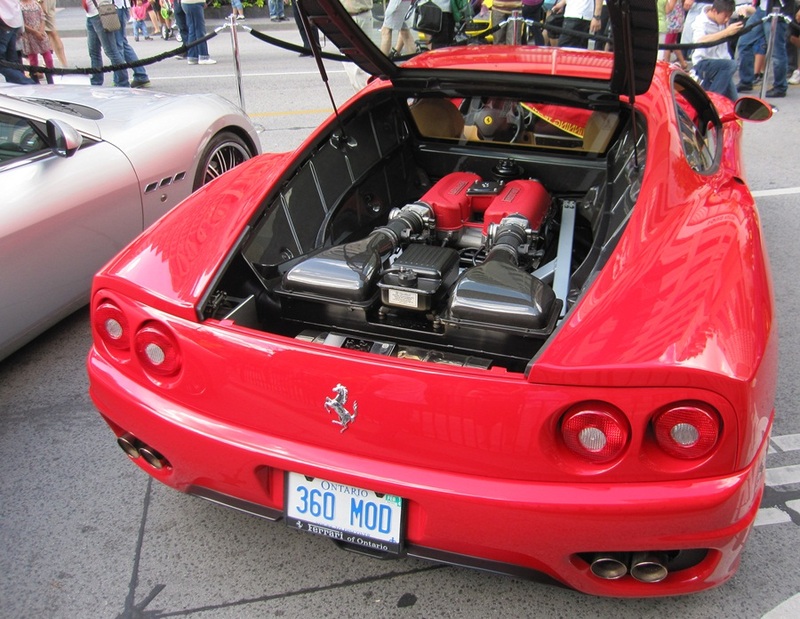 This performance does not have a dramatic impact on fuel efficiency either. With a posted rating of 11.0L/100 km city, 8.4L highway and 9.8L combined is an 8% improvement over the 2012 model year. During the test period we received a combined rating of 9.2L representing approximately 70% highway and 30% city driving. The AWD versions of the Sport come with a system called Active Cornering Control which manages the vehicle acceleration by adjusting the inside rear wheel speed during a turn. The system does a good job as cornering felt tight with only a hint of body roll. A nice addition to the technology in the Sport would have been a blind spot warning system, or adaptive cruise control, both of which are becoming more and more standard in new vehicles and provide both added safety and convenience. 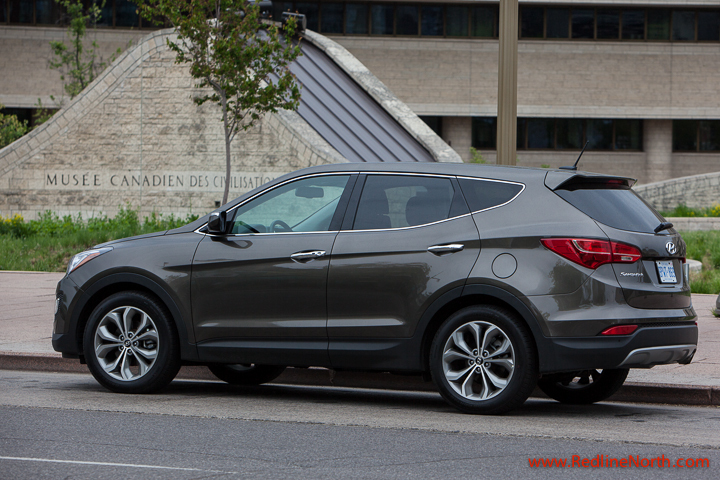 With its curves and modern look, the Santa Fe’s design is very sleek overall. Beginning with its HID headlights the SUV brings a design synergy where aerodynamics meets utility in a way that really works. The 19 inch alloy wheels, twin chrome tipped tailpipes and the addition of the rear parking assist sensors round out some of the stand out features of the Santa Fe Sport styling. Hyundai calls the styling of the redesigned model Storm Edge which features “A striking hexagonal grille which flanks the front while smooth flowing sheet metal creates the impression of continuous motion.” While this description may have a healthy dose of marketing speak incorporated into it, the look of the new 2013 model certainly has appeal and turned a few heads in parking lots. 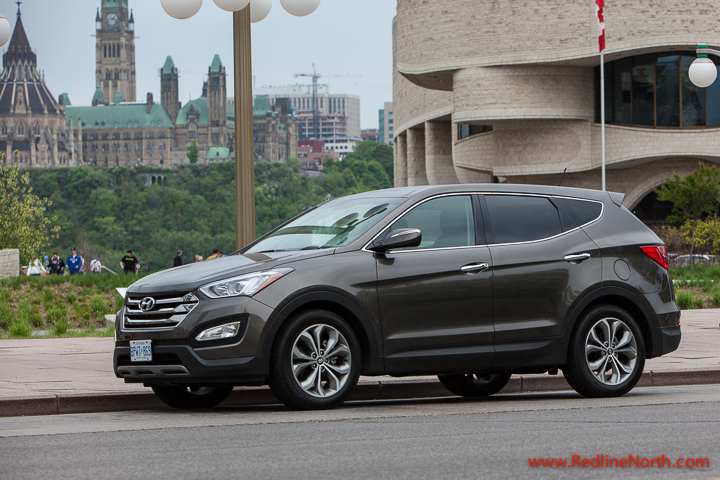 Hyundai has developed a winner in the 2013 Santa Fe which is pitted against competitors such as the Ford Edge, GMC Terrain and the Nissan Murano. The lack of a navigation system and the small LCD screen size in the SE version are the most significant detractors. However, with the refreshed styling, features such as; customizable steering and the panoramic sunroof, along with the responsive turbo charged engine we can easily recommend the SE Sport as a mid-size SUV ideal for families or those needing the additional space. In addition, the improved fuel efficiency over the 2012 model tips the scales bringing the Sport SE into the top 3 spot of this reviewer’s list for mid-size SUVs.